According to D. Bachmann-Medick, a scientific turn is not synonymous with the radical reorientation of a single discipline but basically provides a new pluri- and transdisciplinary perspective complementing and reinforcing already existing approaches. A new turn does not supplant another but becomes part of a dynamic process of competing forces, which eventually may give rise to new categories of analysis and concepts. 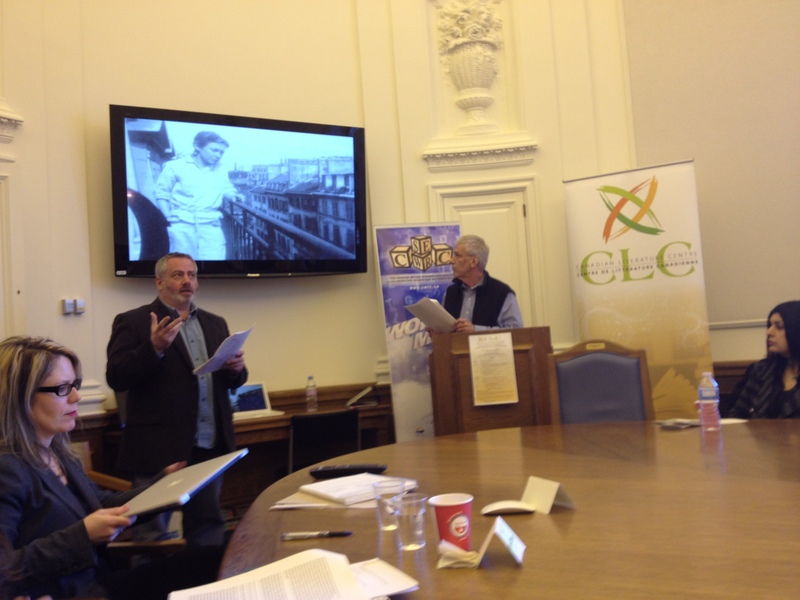 Studying both the general implications and the positive effects and deficits of such a turn is particularly rewarding when it comes to comparing different academic traditions and – as is the case with this transatlantic and transdisciplinary conference – different literary productions written in different languages. the text as a vehicle of emotions or affects which names, discusses or presents them as parts of the mental habitus of the protagonists (Th. Anz); the aesthetic question of how such processes are evoked (use of metaphors, inscription of the body, syntax of the unspeakable, etc.). The focus on contemporary literature necessarily confronts us with S. Žižek’s assessment of the 21st century as the “apocalyptic zero point” and S. Ahmed’s, L. Berlant’s and others’ warnings of the West’s “cruel” attachments to neoliberal optimism. S. Ngai identifies “ugly feelings” while M.C. Nussbaum addresses the ethics of care as an affective, and alternative, form of knowledge, agency, and democracy (J. Tronto). And so what are the affects and emotions that index the particularity of our literary moment or our moment of crisis? How does intimacy or privacy respond to publicness? What is today’s equivalent of Romantic ennui and melancholy? Do situations of exile and migration enhance the new “maladies of the soul” (J. Kristeva)? Do authors ask questions of liveliness and animacy (M.Y. Chen)? Which lives today are considered worth living and are recognized as such (J. Butler)? How might Indigenous literary and critical interventions undo the very categorizations and labels suggested by this call for papers and enable us to tell different stories (D.H. Justice)? These and other lines of critical inquiry – on the basis of the above-mentioned emotional and affective implications of literary communication – are designed to allow participants to approach affect, emotion, and the new maladies of the soul of this 21st century, a task which will advance terminological, methodological, and theoretical knowledge both in the fields of affect and emotion and of text analysis. In the treatment of this description, we encourage comparative, multidisciplinary, and interdisciplinary perspectives and methodologies. We invite proposals of traditional 20-minute papers as well as other forms of presentation such as short 10-minute position papers, round-tables, or pecha kucha presentations. Complete panel proposals (of 3 or 4 papers) are also highly encouraged. Proposals (250 words per paper), in English or in French, with a short biographical note (50 words), should be submitted to clcconf@ualberta.ca by February 1, 2016. This second conference will take place at the Banff Centre in Canada September 22-25, 2016. Situated in Banff National Park, surrounded by the magnificent scenery of the Rockies, the Banff Centre is a unique place to promote the arts and all disciplines on a Canadian and on an international level. 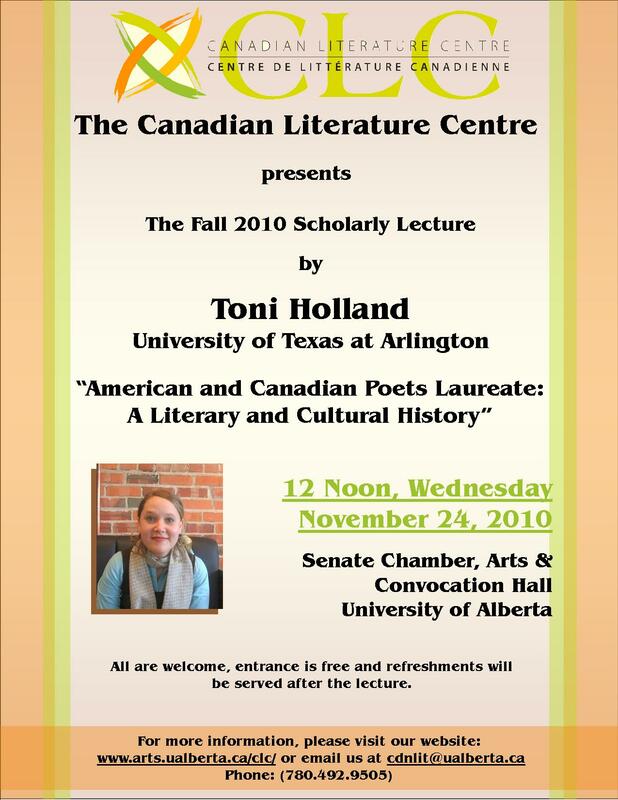 For further information concerning the Canadian Literature Centre at the University of Alberta, please visit www.abclc.ca. The current surge in translations of Canadian literary works from English to French (and vice versa) seems to suggest a rise in circulation not only of texts but also of conversations within and between reading and writing communities in Canada. 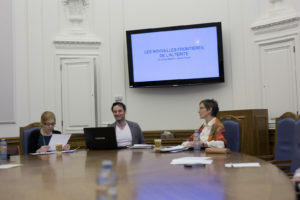 Daniel Laforest and Maïté Snauwaert have stressed the currently growing interest of Francophone critics for English Canadian literature, and the numerous intersections between the two corpuses. Laforest and Snauwaert claim that now, new ways of encountering strangeness are the focus of reflection, rather than the geographical divisions and strict national and symbolic boundaries (2014). In those new spaces of dialogues, Leclerc and Simon think that we should therefore consider the dynamics created by those multiple areas of contacts between dislocated cultural and linguistic points of view and literary discourses (2005). In other words, can contemporary Canadian writings recreate in their own ways what Édouard Glissant called “a poetics of the Diverse”? Can we identify emerging dialogues between Indigenous, diasporic, immigrant, Francophone, feminist, queer, national or transnational perspectives? 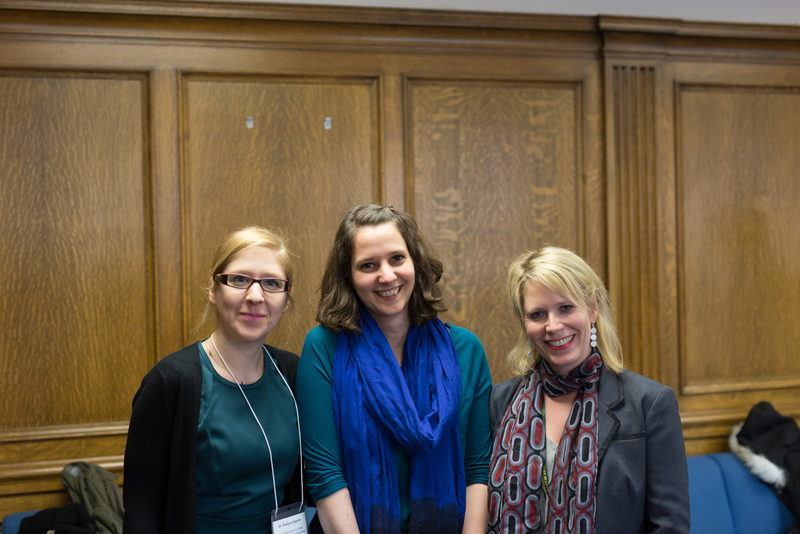 For example, a renewed interest in intergenerational dialogues between Canadian women’s writings and the critiques of their works are building a new tradition in a multicultural and bilingual scope (Carrière and Demers; 2014). How are those new dialogues different from previous ones and in what ways are they committed to varied ideas of fostering communities (literary and other)? Do contemporary Canadian literary works revisit older tropes of CanLit? Are we ‘haunted’ by certain literary and political histories and legacies, and in which ways? What are we willfully forgetting, and why? Are considerations of (re)conciliation limited to the relationship between Indigenous nations and the Canadian state, or do Canadian writers (and writings) suggest other potential avenues of cross-cultural relationships that can foster and nurture other kind of (re)conciliation? What about works that reject the idea altogether? Are current manifestations of hybrid forms, genres, methods and practices — in terms of both creative and scholarly work — engaging with ideas of community or relationship building in novel ways? Brydon and Dvořák call us to engage with “questions of audience, community and the shifting forms of collective imaginaries… [and] seek to capture the dynamic potential of this situation for reimagining the public spheres of engagement for creative work today” (2012). How do we (readers, writers, scholars) reimagine our ‘public spheres of engagement’? How do we imagine and engage with our literary communities, and how do we mobilize our communities to do work beyond the literary? 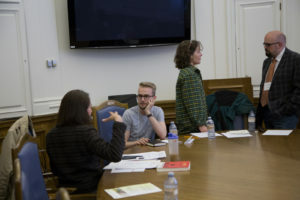 20-minute presentations, interlacing readings of creative works and a critical reflection on the writing process, or the relationship between creative and scholarly work — putting our practices in conversation. Roundtables, including 8-minute presentations (3 or 4 participants) followed by a panel discussion and Q&A. Participants are welcome to send abstracts for individual presentation, partial or entire roundtable proposals. If proposing a complete topic-based roundtable, please send a proposal that includes the names, abstracts and biographies of all panel members. The committee will also accept individual proposals and will undertake thereafter to match individuals with common interests. To foster a fruitful discussion, panel members will be asked to read one another’s papers in advance. Interview or tête-à-tête conversation — either between scholar and artist/author, among colleagues, or a student and mentor — should include a title and detailed (250 word) abstract of the topic and approach the conversation will take, as well as a list of questions which their conversation or interview will address. Please include both participants’ names and short biographies. The committee will also accept individual proposals and will undertake thereafter to match individuals with common interests. Conference paper presentations are restricted to 20-minutes to enable sufficient time for questions and discussion. 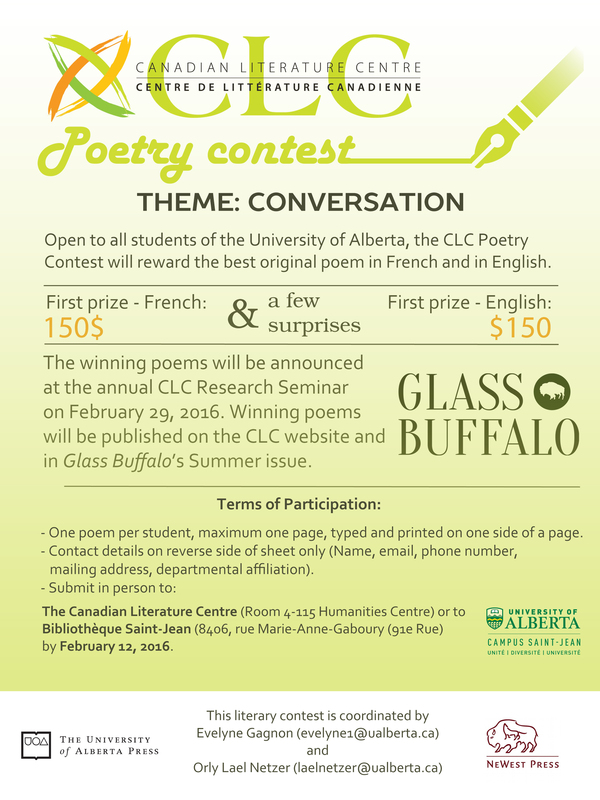 And don’t forget about… The 2016 CLC Poetry Contest! 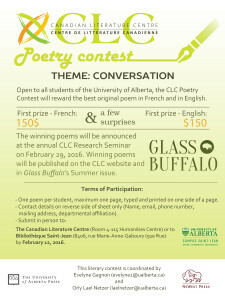 The third CLC Poetry Contest will reward the best original poem (in French and in English) written by a student at the University of Alberta. The winners will be announced at the annual CLC Research Seminar. 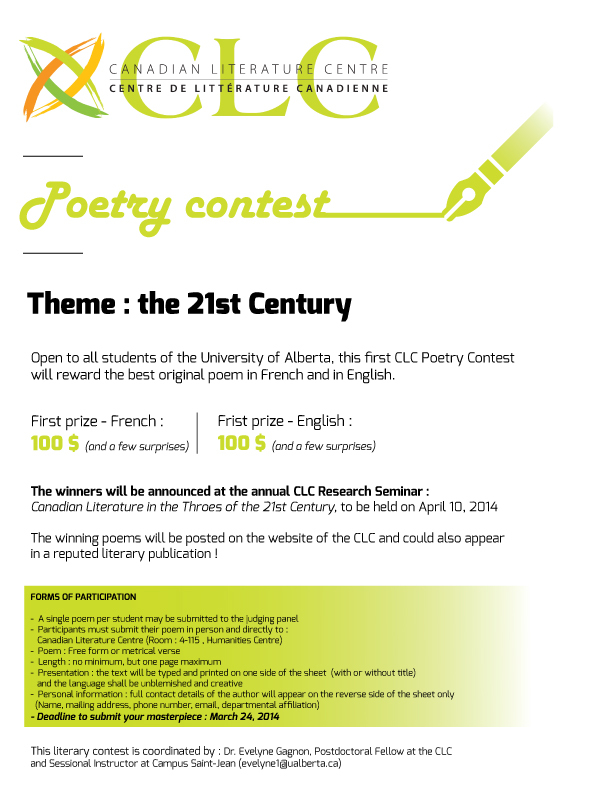 Open to all students of the University of Alberta, the CLC Poetry Contest will reward the best original poem in French and English. rest of one’s life” (see Nicolas Langelier, 2010; Nicolas Dickner, 2009). transnational, cross-border, postcolonial, feminist, or transgender practices. • What is the relationship between crisis and vulnerability, fatigue, or nostalgia? lateness, ending, or apocalyptic apprehension – emerge in literature? instantaneity and anxiety of unmapped and rapidly transformed territories? crisis, trauma, writing, corporeality, affect, and embodiment? spaces, between the human and the non-human? announce the creation of new and alternative poetic and political paradigms? violence, and the violation of human rights? substitute the need for new utopias? of Canada’s First Nations and of the so-called “Third World”? • Is crisis writing a prerogative of the privileged? 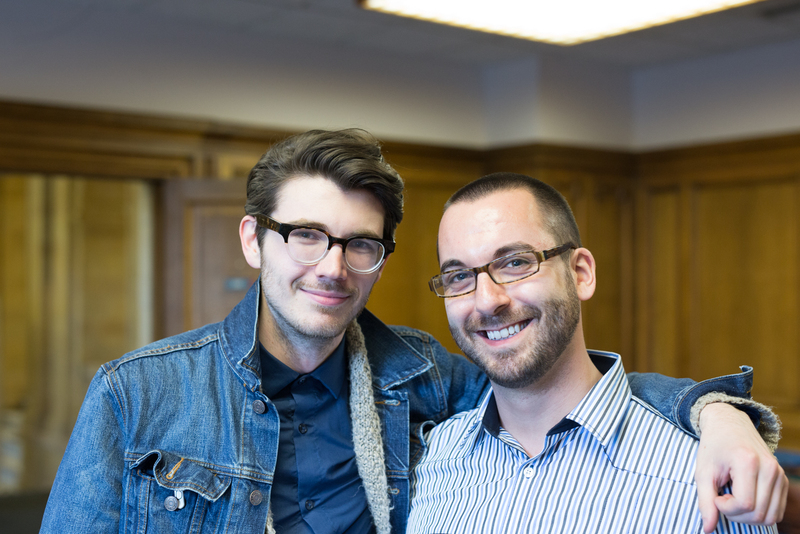 such as short 10-minute position papers, panel discussions, or pecha kucha presentations. University of Innsbruck please consult www.uibk.ac.at/canada. 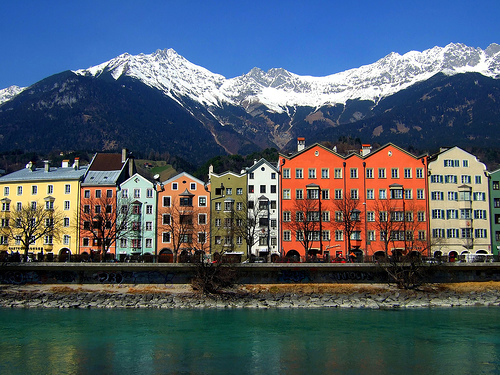 The second symposium will take place at the Banff Centre in Canada in September 2016. 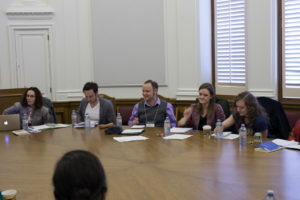 In the footsteps of the 2014 Seminar, which revolved around Canadian literature in the throes of the 21st century, the 2015 Seminar will attempt to build on last year’s fertile reflections, to shed light on new and emerging paths proposed by current literary works. As a result, one may ask, to what extent does contemporary Canadian literature allow us to rethink the precarious bond that every individual may share with alterity, with diverse communities (local, national, virtual) to which he or she feels attached, with a world struck by a series of unprecedented disruptions and changes (political, ecological and technological)? What new or alternative forms of subjectivity and representation manifest themselves, leading to new modes and methods of expression? How do these changes translate into new forms of writing and how do they transform modes of enunciation, genres, techniques and other ways of disseminating literary expression? Although expressions such as “end of literature” (Alexandre Gefen) and “post history” (Sylvain David) have entered on the literary scene, doesn’t recent cultural production offer an alternative to this period marked by pessimism? Thus to what extent do contemporary works allow us to venture on more optimistic routes, by not only suggesting, here and there, that the current discourse of exhaustion be transcended and left behind, but also by proposing a poetics of renewal? Can the emergence of new discursive strategies or narrative modes be considered a characteristic of recent production? What could be said about the representation of North-American spaces (geographical or imaginary)? In what ways do contemporary texts suggest a re-visioning or critical reading of Canadian history? What futuristic images do current texts provide to Canadian readership? Where do they position Canada in a global perspective? How does literature deal with concepts of subjectivity, community and citizenship of various sorts (national, continental, global, virtual) in the context of the 21st century? How does Canadian literature recreate the nation, and does it render questions of national belonging (in terms of literary tradition, as well as cultural and political citizenship) obsolete? How does contemporary Canadian literature allow us to rethink concepts of community building? Are there clues as to the re-emergence of old literary trends (pan‑americanism, baroquism, transculturalism, transnationalism, exoticism…) in recent literary production or research activity? We encourage participants to explore, challenge, and discuss these topics from a variety of perspectives (such as indigenous, immigration, diaspora narratives, women’s writing) as well as a range of literary forms and genres (including oral narratives, life writing, non-fiction, etc.). Since the CLC defines this event as a Research Seminar, we’d like the day to highlight collegiality and collaboration. This will be reflected in the seminar form, seeking to raise, address, and discuss theme-related questions through roundtables and tête-à-tête conversations. We also welcome abstracts for traditional conference presentations related to the theme and linked to some current individual research. Furthermore, in the spirit of nurturing scholarly interaction, we would like the seminar to be an opportunity for the CLC to welcome emerging scholars in our research community. We ask that faculty encourage graduate students who are working on projects that are relevant to this year’s theme to send proposals, attend the seminar, and engage in the conversation. Roundtables will include 8-minute presentations (2 or 3 participants) followed by a panel discussion and Q&A. Participants are welcome to send abstracts for individual presentation, partial or entire roundtable If proposing a complete topic-based roundtable, please send a proposal that includes the names, abstracts and biographies of all panel members. The committee will also accept individual proposals and will undertake thereafter to match individuals with common interests. To foster a fruitful discussion, panel members will be asked to read one another’s papers in advance. Tête-à-tête conversation – either between scholar and artist/author, among colleagues, or a student and mentor – should include a title and detailed (300 word) abstract of the questions that their conversation will address. Please include both participants’ names and short biographies. The committee will also accept individual proposals and will undertake thereafter to match individuals with common interests. Conference paper presentations are restricted to 15-minutes to enable sufficient time for questions and discussion. And don’t forget about the… 2015 CLC Poetry Contest! 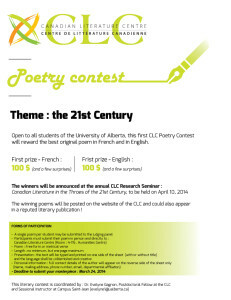 The second CLC Poetry Contest will reward the best original poem (in French and in English) written by a student at the University of Alberta. The winners will be announced at the annual CLC Research Seminar. THEME 2015 : Emergence and renewal. Contest will reward the best original poem in French and in English. 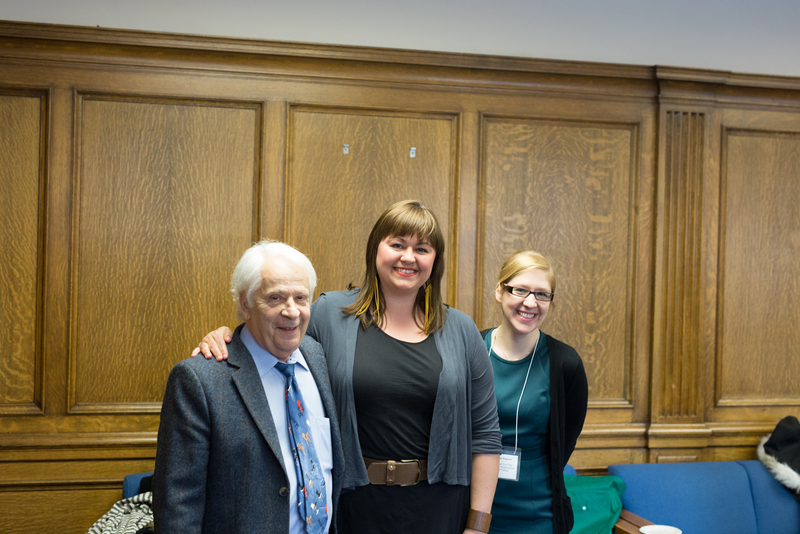 The winning poems will be announced at the annual CLC Research Seminar on April 23, 2015. 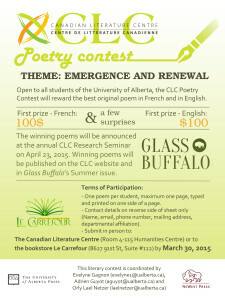 Winning poems will be published on the CLC website and in Glass Buffalo’s Summer issue. – One poem per student, maximum one page, typed and printed on one side of a page. the bookstore Le Carrefour (8627 91st St, Suite #112) by March 30, 2015.
that we must name a geological epoch for ourselves. because it’s bent over like a lanky fourteen year old. a black splash on white snow, river and sky. as cold soaks through flesh. Donneuse de la vie– sacrifice charnel pour l’humanité. Source de saveur et de l’amer. coute plus cher que tu peux m’offrir. L’approvisionnement de l’efficacité exacte – le fordisme. Tu me condamnes à la punition éternelle ? Juste pour des gains, des profits superflus ? Juste pour survivre, je dois me donner à vous. October 16-18, 2014. Mount Allison University, Sackville N.B. The CLC Research Seminars aim to provide an ongoing public and research forum for the discussion of and study into a wide range of issues relevant to Canadian writing, in English and in French, of all forms, genres and practices. The seminars are open to everyone; participation is solicited from graduate students, university instructors, staff, faculty and postdoctoral fellows. The seminars seek to create an interdisciplinary and thoughtful atmosphere for the presenting, sharing and fine tuning of research in progress. They provide opportunities for researchers of different walks of life and at different stages of their scholarly careers to engage with one another as well as with a general audience, in an informal, supportive and productive setting. 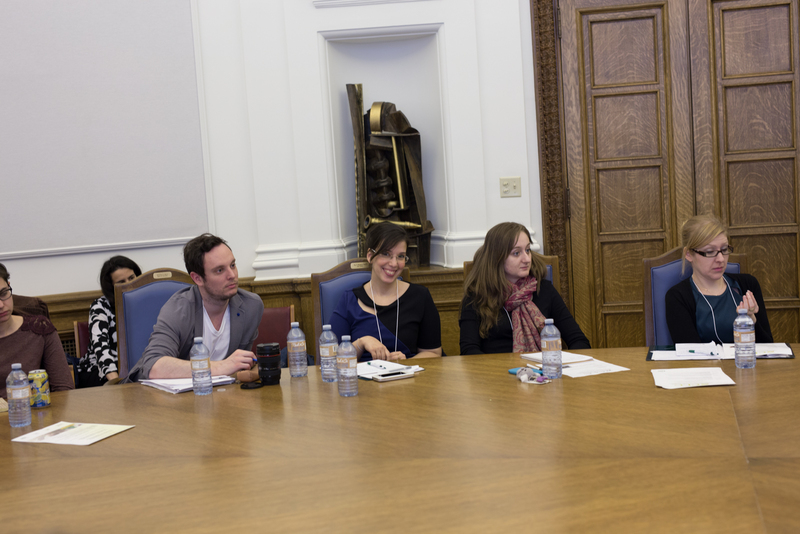 This year’s gathering will bring together researchers reflecting on contemporary Canadian literature. The seminar will address diverse representations of the 21st century and how Canadian literature proposes different visions (historical, symbolic, topological) of the early years of this new era. How can literature feature, directly or indirectly, the turn of a new century ? As the conclusion of a challenging era marked by a “sense of the end” (Paul Chamberland, 2004) ? Or as the beginning of an uncertain period where the very possibility of meaning seems exhausted or expanded (for example, David Sylvain speaks of “post-history”; 2012, while Rosi Bradotti sees a new “post‑humanity”; 2013) ? How does literature represent the transition between a constant projection into the technological future and an often forgetful attitude towards history ? How can we rethink this vulnerable world, marked by the collapse of numerous epistemes and ideologies, threatened by global instability and ecological challenges ? How can the current cultural productions reconfigure the possibilities of living and acting in the 21st century ? 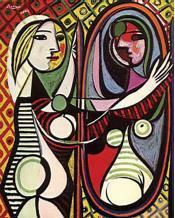 What new forms of subjectivity are brought forth ? French scholar Dominique Viart defines the current literary landscape as producing writers of contemporary vulnerability who are aware of the fragility of our times and of the crisis of legitimacy faced by language and literature (Viart, 2011). 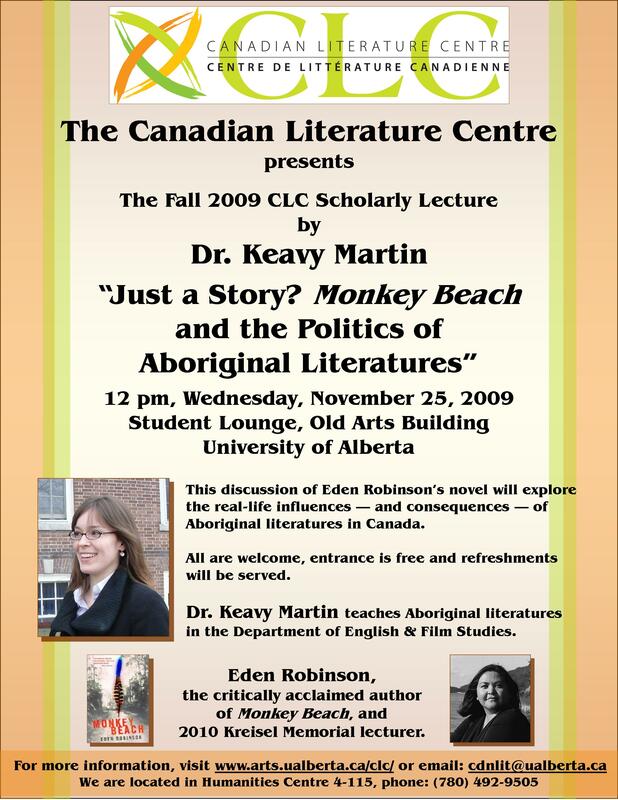 What is the specificity of Canada’s literature and its North‑American perspective on that matter? Those are the questions that will be raised, addressed, and discussed at this seminar which will welcome research presentations of various kind (conference papers, round tables, summaries of current research), on all writing genres. For the Program please CLICK HERE. Focusing on the first decade of the 21st century, this two-part conference aims to expose the multiple forms, directions, and intersections of Québécois and Canadian women’s writing. 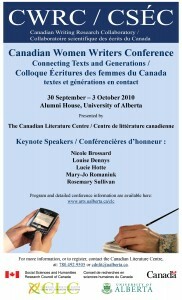 In an attempt to foster new collaborations and departures, these twin conferences look for points of convergence and rupture between Canadian and Québécois women writers in the contemporary literary panorama in terms of the aesthetic and political concerns of literary texts, and also of the approaches and methodologies that critics adopt to engage with these writings. 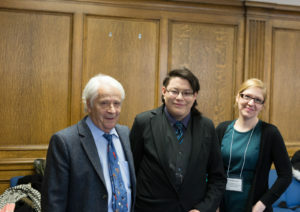 We firmly believe that a fruitful dialogue between what has been commonly conceived as opposite literary traditions in Anglophone Canada, Québec and Francophone Canada is imperative in the contemporary moment in order to envision alternative forms of coalition, resistance, and struggle for women writing in Canada today. 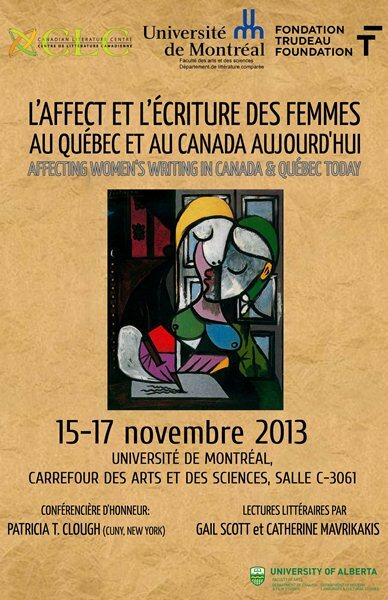 Through side-by-side and/or comparative examinations of women’s writing produced in Canada and Québec, the conferences will not necessarily attempt to bridge traditions, but rather to dislodge naive accounts and perceptions of the relationship between Québécois and Canadian women’s writing. 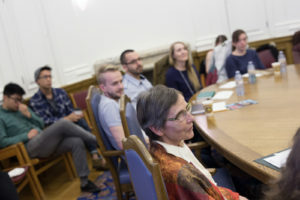 We are interested in engaging with those dissenting voices, traditions and practices within contemporary women’s writing that advocate for the creation of alternative logics of desire and embodiment, a reconfiguration of social relations, and the formulation of alternative ethical and political positions. The second conference will take place in Montréal in the spring of 2013. A different call for papers for this event will circulate later. 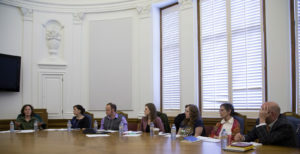 This year’s seminar will bring together researchers presently engaging in digital humanities research and Canadian writing, and in relation to the “CWRC” online infrastructure project, or Canadian Research Writing Collaboratory. A wine and cheese reception will follow, with a literary reading by a special guest author. 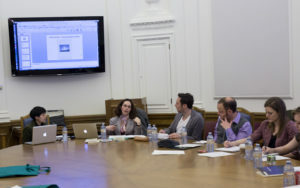 Participants are asked to send a short, 200-word summary of their presentation, in either English or French by January 13, 2012. 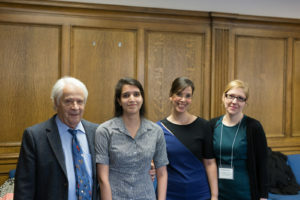 The CLC offers two modest travel bursaries to out-of-town graduate students, postdoctoral fellows and junior scholars. Papers (which should be no longer than 5 double-spaced pages in length) will need to be submitted by February 3, 2012, one week before the day of the seminar. Individuals will present their papers, either by reading them in full or by summarizing the main points. Presentations will be limited to 10 minutes, allowing ample time for response from the moderators and the other presenters, as well as discussion with the general audience. 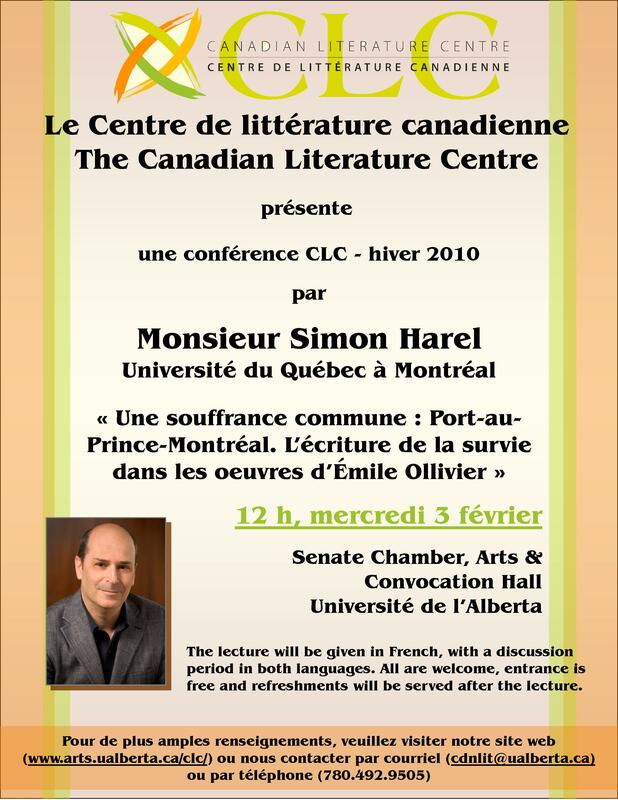 As we saw in the first conference of the Canadian Literature Centre in the Spring of 2009, Canadian literature is becoming exceptionally difficult to conceive of in terms of national literature. Canadian literature still has its canons, milestones and founders, but its history and its potential are nevertheless unfolding as a series of forms that move from a self-conscious, deliberate interculturality to an often unconscious, tacit transculturality. Beyond this apparent heterogeneity, we saw the emergence of two notions that have not been lost on researchers gathered for the first CLC colloquium: space and memory. These are fields of inquiry that, in order to do justice to their omnipresence in the literary corpus, it seems to us wise to put in the plural. Thus we propose: spaces, memories. With their breadth of scope, these two fields prompt a multiplicity of questions about, and responses to, Canadian literature. Thus, we should put “Canadian Literature” in the plural as well, since as we could see from the proceedings of the first conference published by the CLC (Transplanting Canada: Seedlings, CLC Studies, vol. 1, 2009), spaces and memories seem like appropriate notions to explore with a view to their expansion, their extension. space and the representation of a national past, present, or future. Memory unspools as something that is both diachronic and synchronic. Diachronically, the great autobiographical tendency that goes across the whole of contemporary western literature, and is only getting stronger in contemporary life and literary production, is a breeding ground for the subjective romance. Bildungsromans, family histories, self-examinations via collective identities, migration and belonging, integration or the loss of inherited memory, migration and immigration narratives all help to reclaim a trans-generational or maternal connection to the country of origin. They encompass French and English poetry and prose, all the while constructing a transcultural and trans-subjective “thickness.” Synchronically, memory’s territory is constructed in relation to exterior, foreign, faraway places, which remain contemporary. This territory then becomes an attempt at writing a history of the present, of creating a shared way of experiencing time. It’s thus an echo of the memory process itself, made out of other languages, other memories, and other imagined countries, of journeys between the country, the landscape, and their imaginary counterparts. All of these approaches invite us to diversify the gaze we cast on Canadian literature, or to make Canadian literature the laboratory of a renewed reading of these approaches. For more information, please write to: clccollo@ualberta.ca. 4 February 2011, 2:00 to 5:00 pm. Wine and cheese reception to follow, with literary reading by special guest author. 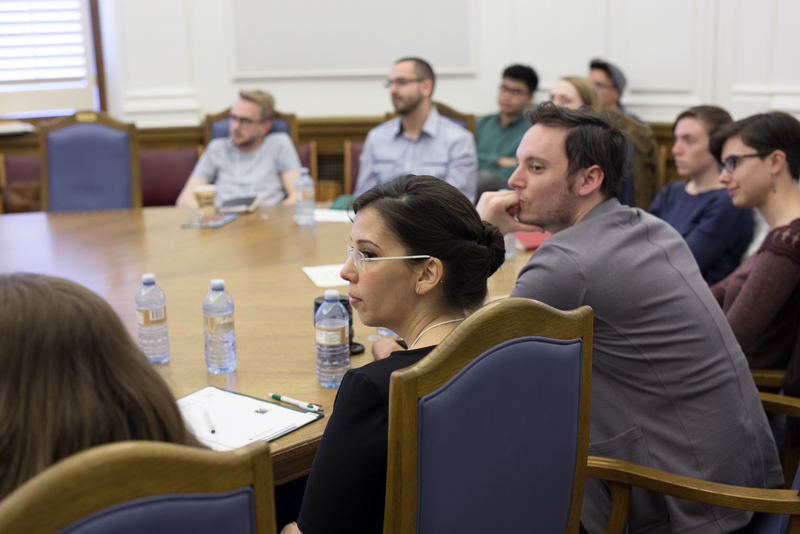 The CLC Research Seminars aim to provide an ongoing public research forum for the discussion of and study into a wide range of issues relevant to Canadian literature of all forms, languages, genres and practices. The seminars are open to everyone; participation is especially solicited from graduate students; university instructors, staff, faculty and postdoctoral fellows are also strongly encouraged to participate. The seminars seek to create an interdisciplinary and thoughtful atmosphere for the presenting, sharing and fine tuning of research in progress. 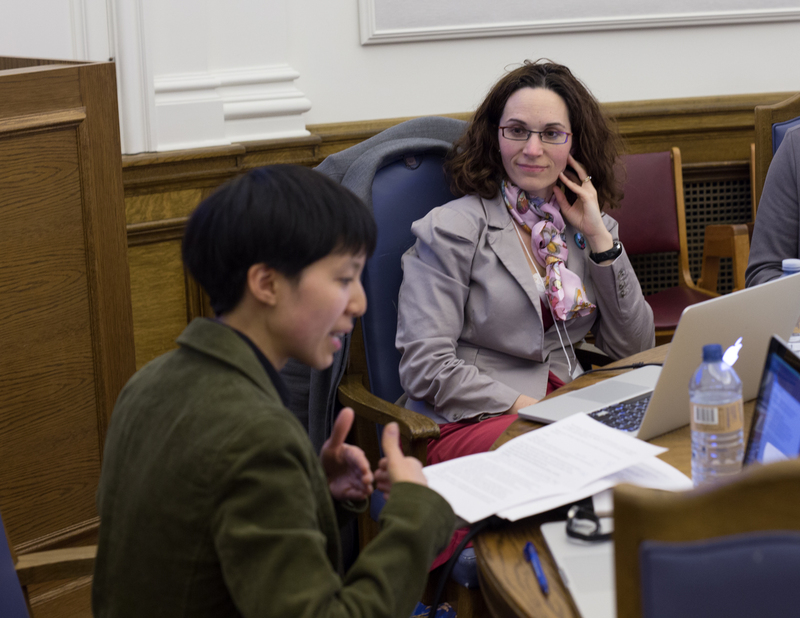 They will provide opportunities for researchers of different walks of life and at different stages of their scholarly careers to engage with one another as well as with a general audience, in an informal, supportive and productive setting. How are Canadian urban spaces portrayed, defined or re-defined by literature? How do urban spaces produce gender, race, class, and ethnicity? How are urban spaces in turn produced by these categories? How is public or political discourse (in)formed by our cities, and how are cities (in)formed by these discourses? Is there a specifically Canadian, Québécois, Francophone, or immigrant urbanity? What are the connections between urban space and personal memory, collective memory, migration, mobility, language or citizenry? What are the connections between urbanity and cultural production in Canada? Are there new forms of Canadian writing, performance or publishing that reflect contemporary urban realities? Papers (no longer than 5 double-spaced pages in length) will need to be submitted by January 21, 2011, two weeks before the day of the seminar. They will be read in advance of the seminar by two moderators and the other presenters. At the seminar, individuals will present their papers, either by reading them in full or by summarizing the main points. In either case, presentations will be strictly limited to 10 minutes, allowing ample time for discussion with the moderators, the other presenters and the general audience. Online registration is now available! Click here to register online now. 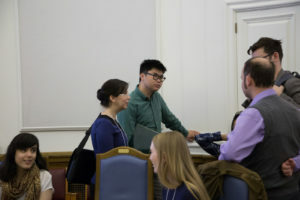 Conference Registration Fees: Faculty and Postdoctoral Researchers (presenting or just attending) $150.00 CAD, Students (presenting) No fees (registration required), Students (attending but not presenting) $65.00 CAD. All fees subject to GST. 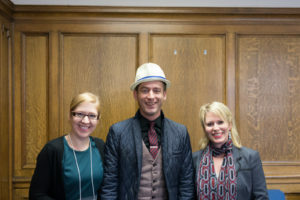 The Canadian Writing Research Collaboratory (CWRC, pronounced “quirk”) will provide a digital platform for new collaborations in humanities research. Supporting team-based scholarship, digitization and editing, and embedding its material in political, commercial and cultural contexts, CWRC brings digital arts into dialogue with other artistic practices that are part of a contemporary landscape of imaginative and creative work and critical research. CWRC has been successful in securing, under the leadership of Dr. Susan Brown (University of Alberta / University of Guelph), substantial funding from both the Canada Foundation for Innovation (CFI) and provincial funding bodies. CWRC’s centerpiece is a Canadian Women Writers project, a radically interdisciplinary, collaborative and bilingual research initiative that will be developed across three primary modules: 1) a virtual archive of textual, visual, and audiovisual materials relevant to research in women’s writing in Canada; 2) a searchable, expandable, user-producer textbase of historical, bio-critical data on women’s writing in Canada; 3) an interactive forum/salon for the circulation of discussion, new textual, audio and visual material, and readers’ and writers’ communities. This gathering will be the first of up to three conferences planned around this flagship project of CWRC. This venture with multilingual, multi-genre, and multi-media content is anchored in the premise that digital and electronic instruments are key to enabling and producing new meanings in embodied, experiential, participatory ways. 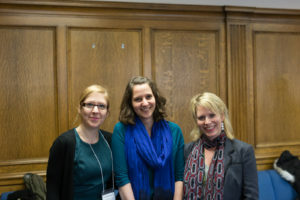 In coordinated collaboration with related major projects partnered with CWRC (TransCanada Institute; Editing Modernism in Canada; canadiana.org, among others), this Canadian Women Writers initiative aims to bring into alignment established and emergent histories, to integrate divergent perspectives on history, and to engage users as producers in a variety of textual, visual, and audio formats. 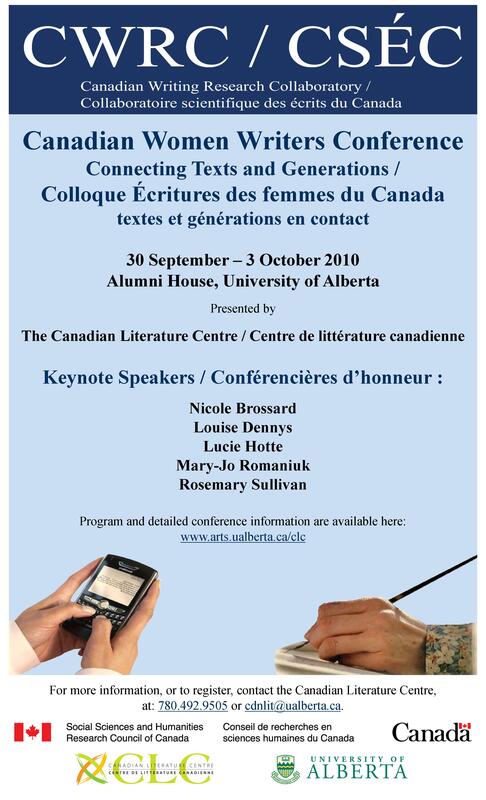 The conference will bring together scholars, writers, booksellers, librarians, publishers, and software designers, along with invited keynote speakers, to catalyze discussion — particularly on women’s writing in Canada, literary history, historiography, collaborative methods, and digital and feminist scholarship — through papers, panels, readings, and online hook-ups and demonstrations. The Canadian Literature Centre (CLC), the Canadian Studies Institute and the Graduate students of the Department of Modern Languages and Cultural Studies of the University of Alberta are pleased to invite you to the first edition of the Multiculticanada Graduate Students Colloquium. Canada has become a source of inspiration for numerous countries in terms of integration and multiculturalism. 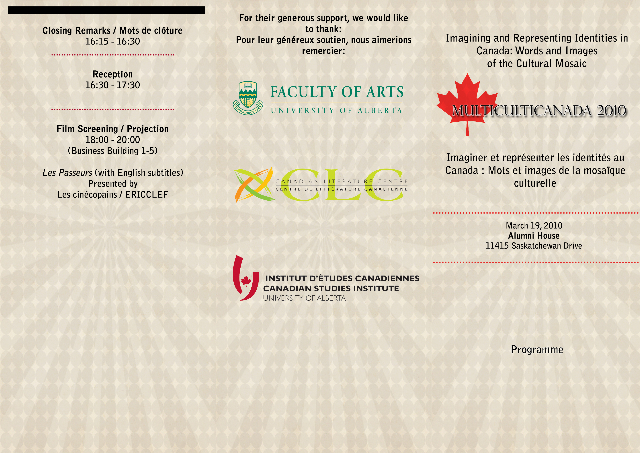 As a result, we would like to take this opportunity to explore the way in which texts, images, and other mediums construct and represent the idea of Canada as a cultural mosaic and the controversial questions that come with the notion of multiculturalism and the concept of “transcultural” in Canada” With this in mind, the colloquium participants are presenting papers from a wide array of disciplines that deal with literary texts, visual works or other media that underscore or problematize questions of multiculturalism and the “transcultural” in Canada. Following the conference, selected papers will be considered for publication in the journal International Journal of Canadian Studies. This conference is being generously supported by the Canadian Studies Institute (U of A, Campus Saint-Jean) and the Canadian Literature Centre (U of A, north campus). Nancy Huston’s biculturalism; gender and race in Dany Laferrière’s cinema; the reception and translation of Canadian literature abroad; stereotype in Aboriginal writing; zones of conflict in Canadian writing. Proceedings from the colloquium, Transplanting Canada: Seedlings is now available! Read more here. Aboriginal literature across the Canada-US border; Joseph Boyden’s New Orleans, Louise Erdrich’s “French Indians,” etc. The role of textuality in indigenous literatures; syllabics vs. roman text, aboriginal languages adopted and used in European forms (such as the novel), etc. Has “Commonwealth Literature” a future? Researchers are strongly encouraged to bring work in progress to the table. Possible formats will not be limited to traditional 20-minute conference papers, although these are welcome, but will include panel and roundtable discussions of shorter (10- or 15-minute) presentations of current research. Since the CLC’s primary goal is to foster future collaboration among researchers interested in the many voyages that continue to define Canada’s literatures, participants will be asked to envision or demonstrate how their projects might benefit from or fit into larger collaborative endeavours. Please submit 250-word proposals for papers or for shorter, more informal presentations, as well as a 50-word bio, in either French or English, indicating which approach (conference paper or informal presentation) you would like to adopt. The deadline for proposals is January 9, 2009. However, we encourage participants to submit their proposal sooner, and notices of acceptance will be given as quickly as possible.